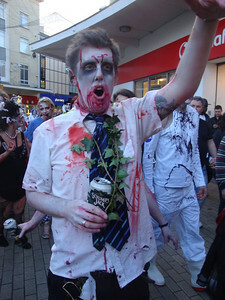 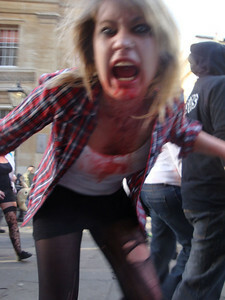 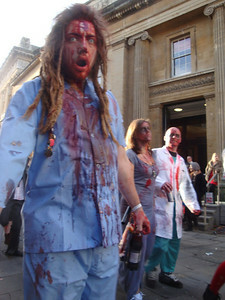 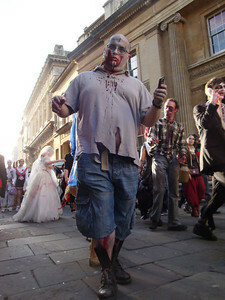 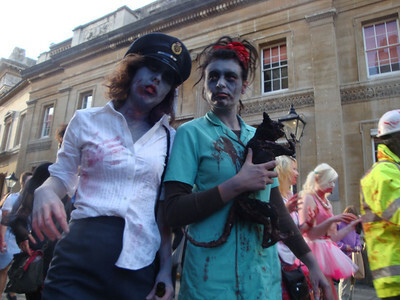 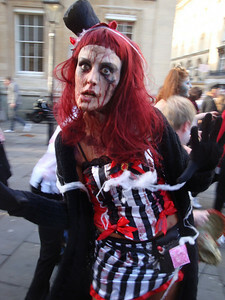 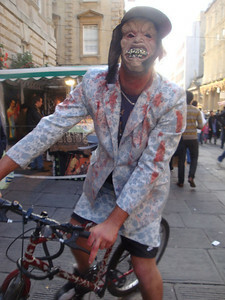 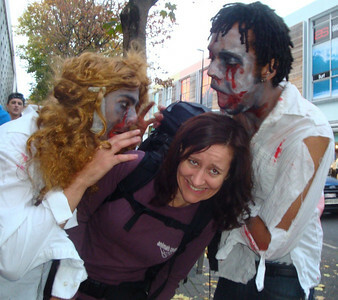 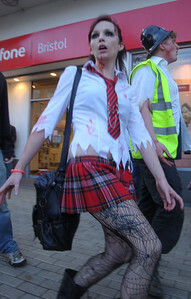 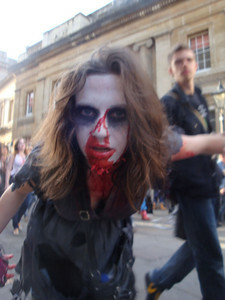 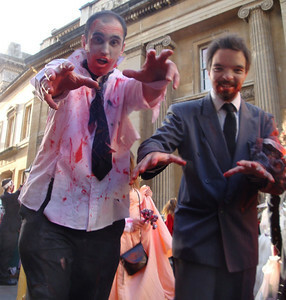 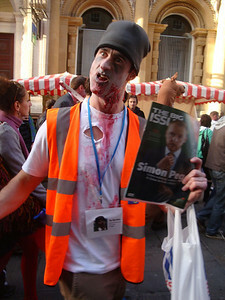 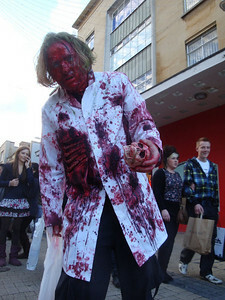 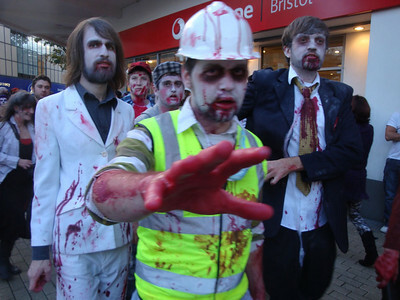 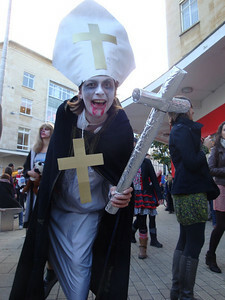 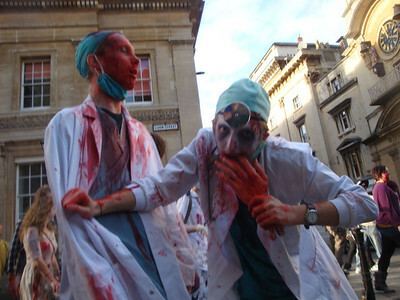 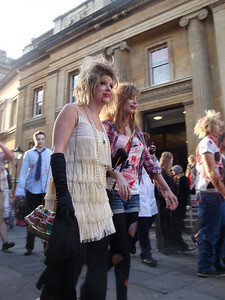 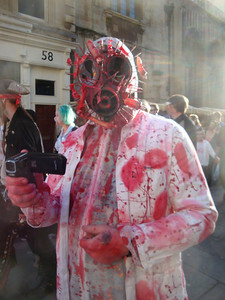 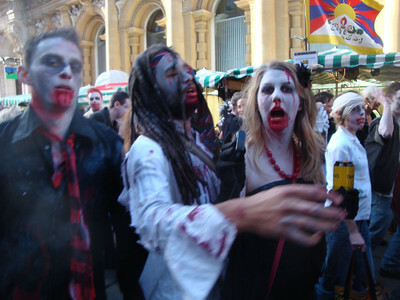 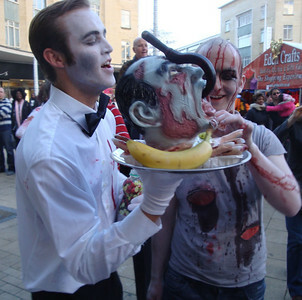 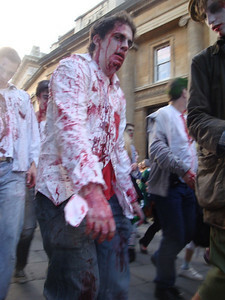 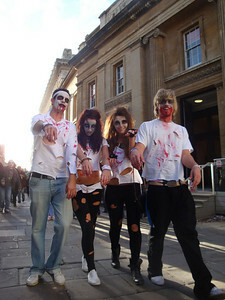 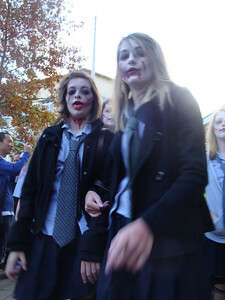 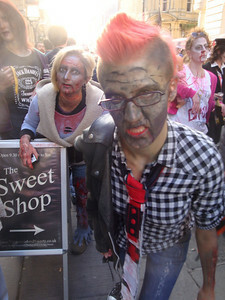 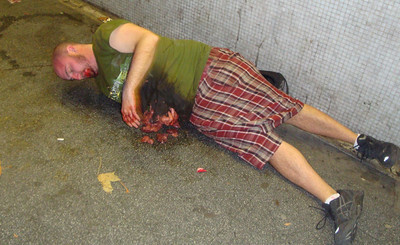 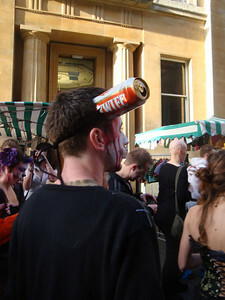 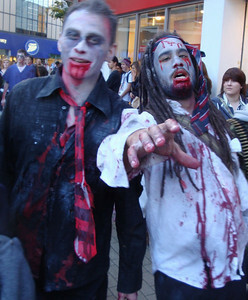 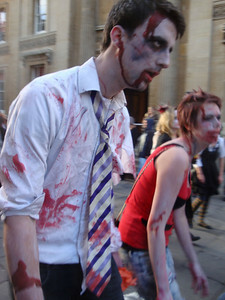 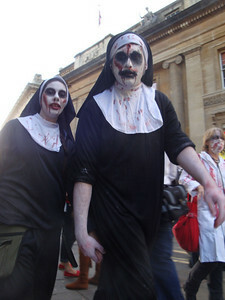 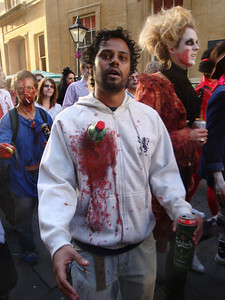 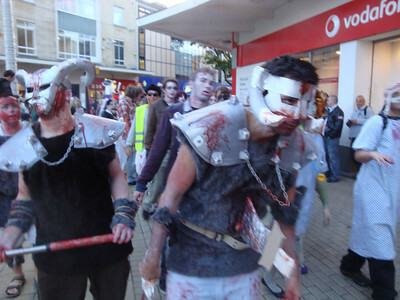 Bristol Zombie Walk in October. 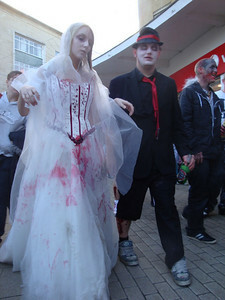 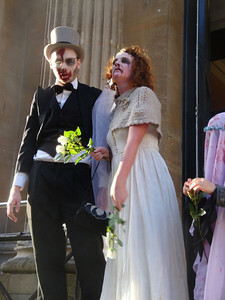 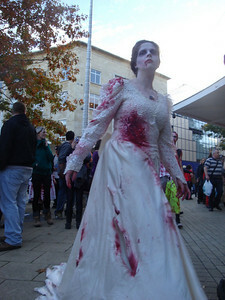 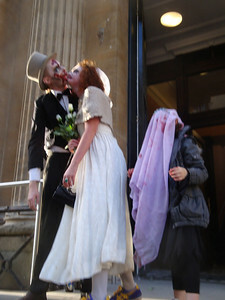 Which was useful, as there were several zombie weddings, when we passed Bristol's Registry Office. 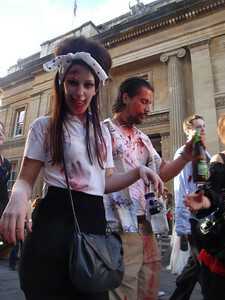 Some of the blokes took rather a liking to Jasmijn. 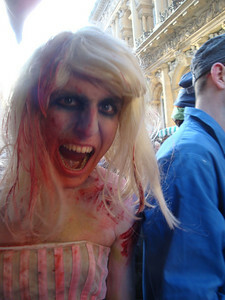 However, she had some serious competition from some of the women. 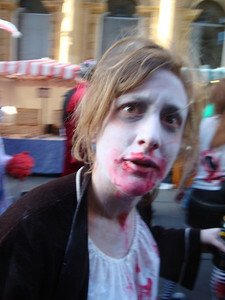 Some of the competition was not so serious. 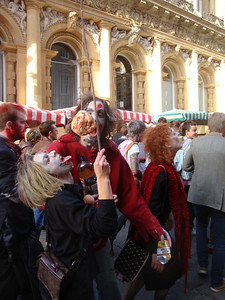 Most of the zombies were very hungry for brains. 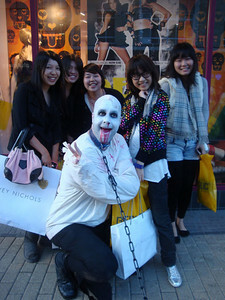 Although they were generally happy with whatever body parts they could get. 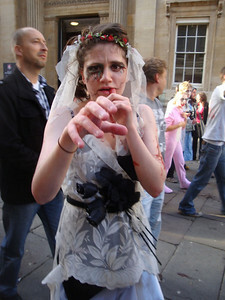 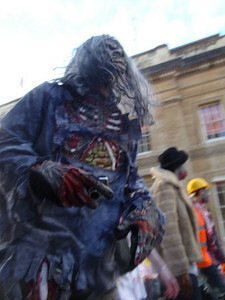 This zombie kept escaping from its owner, much to the delight of the tourists. 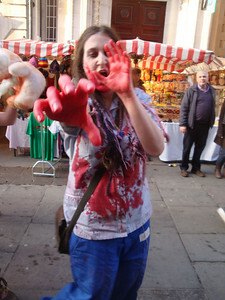 This one kept losing its entrails.